Our young angel girl is sharing her time with the wonders of nature. 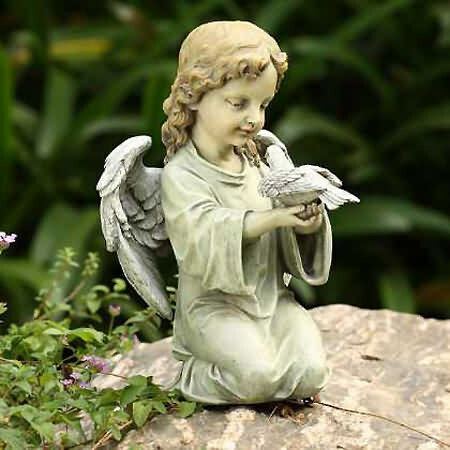 Here, she is seen holding a dove with endearment. Made of resin. Suitable for garden use.